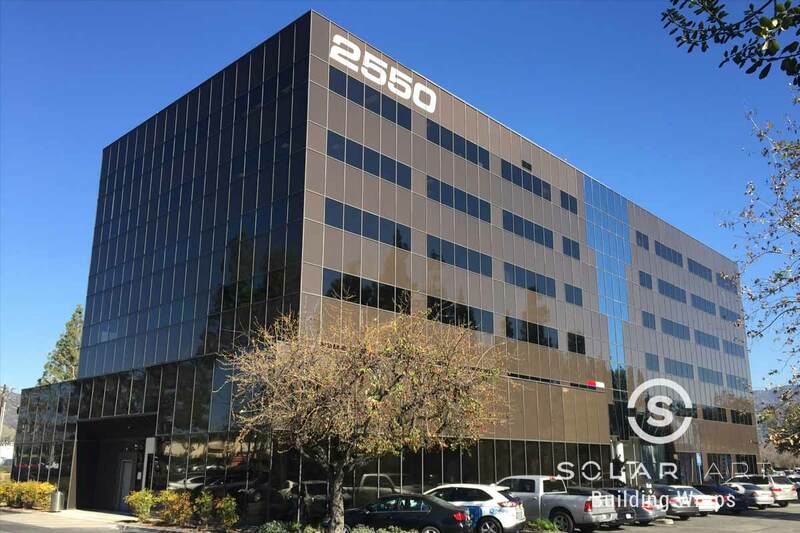 Solar Art installed a building wrap to a building in Burbank, California! The customer was looking to completely transform the exterior look of this building. The building had a mismatch of window film installed which created a non uniform and messy look. The window film that was originally installed was also old and outdated. The customer reached out to Solar Art to see what their different window film options were. This customer worked closely with our project manager to come up with the best solution for their problem. After working with our project manager, the customer decided to actually have two different window films installed. They were going for a look that would really draw attention to the building and attract potential tenants. The customer had an exterior bronze window tint installed on the larger portion of the building and an exterior silver window tint installed on the lower portion of the building for a shiny new look! Both the bronze window tint and the silver window tint are heat blocking window films that can reduce heat by up to 75% as well as reduce glare. Both of these window films are newer on the market and have a modern and clean look. This building wrap also blocks 99% of UVA and UVB rays and will help protect furniture and floors from sun fading. The customer was extremely pleased with the outcome of the installation. The building now has the nicest curb appeal on the block and is a great prospect for new tenants. The building is now also significantly cooler in the afternoons and current tenants are much more comfortable. A building wrap is also easily removable with no damage to the glass if the customer decides they no longer want it or want a different window film installed. 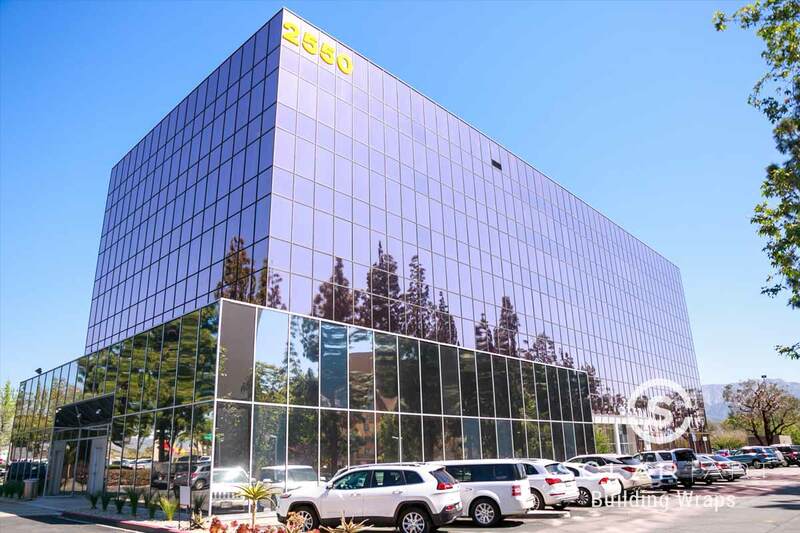 In addition to building wraps, Solar Art also services solar film, decorative window film, security window film, anti graffiti film and custom graphics, all of which are easily removable and work great in both residential and commercial settings. If you are interested in window film for your home or commercial space, contact Solar Art today for a free quote! Interested in a Building Wrap? A building wrap is a cost effective and easy way to give your building a complete new look. They reduce heat, reduce glare and block 99% of UVA and UVB rays. Contact Solar Art to learn more!